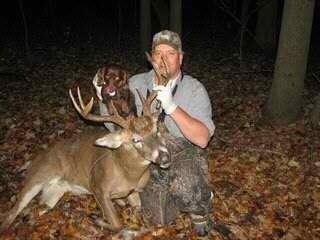 This is yet another liver shot buck. The arrow entered high and at the second to last rib bone. The Hunter made a 45 yard shot so when the arrow entered the buck the entrance and exit whole was basically the same height. 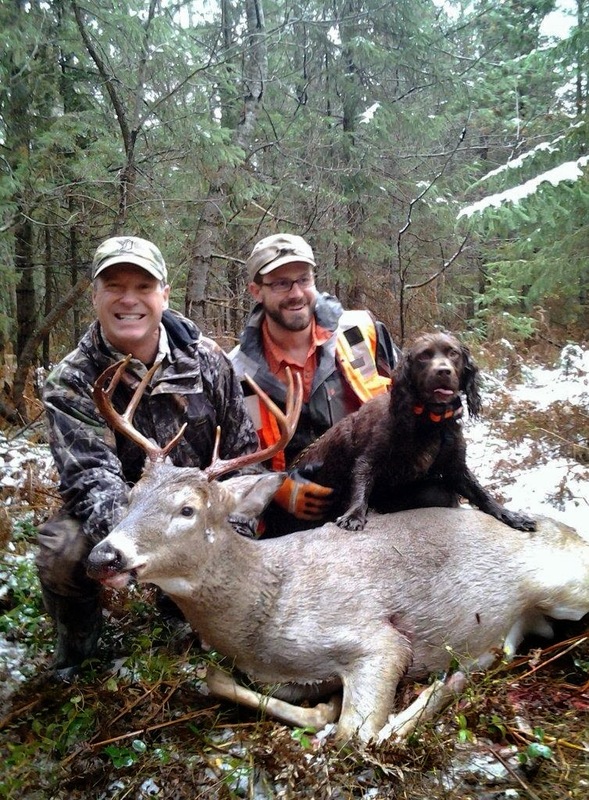 The buck ran about 600-700 yards and we never found a single drop of blood. 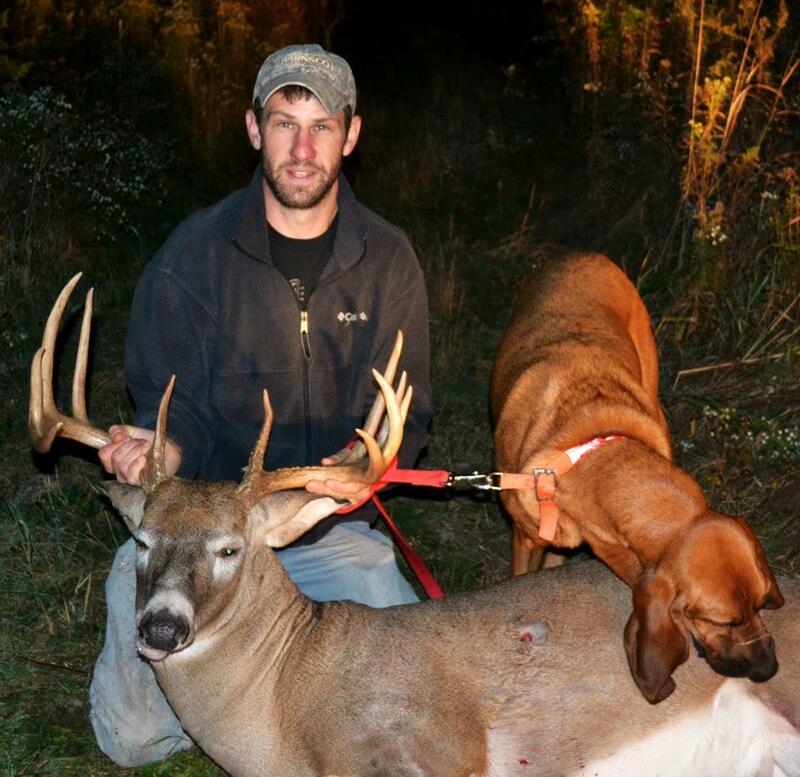 His arrow was completely covered and no drop of blood to be found. 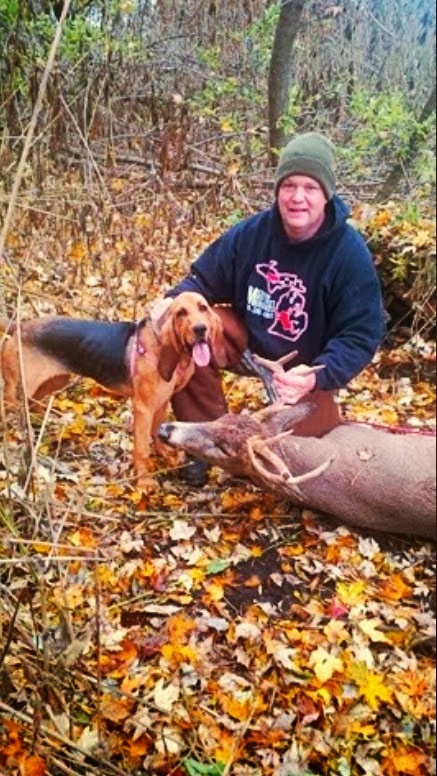 This is proof that our hounds do not need blood to find your deer.